Recognized as a singer of exceptional artistry and versatility, soprano Courtney Huffman is a captivating and inspiring artist who is making waves in the professional musical world. After taking First Place in the NATS 2008 Artist Award Competition in Nashville, Tennessee, Ms. Huffman made her New York solo recital debut at Carnegie Hall. She also performed a winner’s recital at the 51st NATS National Convention in Salt Lake City, Utah. At Long Beach Opera’s U.S. Premiere of Vivaldi’s Motezuma, Mark Swed with the LA Times wrote, “Teutile… brilliantly sung by a young soprano, Courtney Huffman, just entering the professional arena, is treated as a supercilious young starlet...She sings and steals the stage...I hope opera talent scouts were on hand." Ms. Huffman joined the Center of Contemporary Opera in Avignon, France to perform the role of Lady Isabel in Michael Dellaira’s opera The Secret Agent. 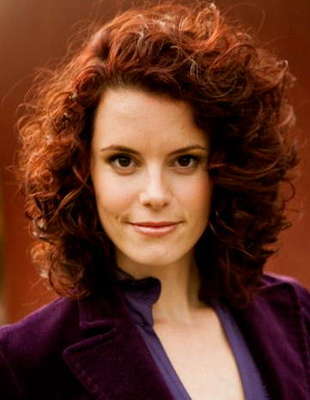 Additionally, Huffman has appeared in over two-dozen operas and opera scenes with the Center for Contemporary Opera, Intimate Opera Company, Bakersfield Symphony Orchestra, and the Aspen Opera Theater. Her stage credits include Yadwiga in Ben Moore’s Enemies, A Love Story, Violetta in La Traviata, Betty in Lowell Liebermann’s Miss Lonelyhearts, Frasquita in Carmen, and Zerlina in Don Giovanni. An equally accomplished concert artist, Ms. Huffman performed Bach’s Wedding Cantata and Coffee Cantata with Boston Baroque last New Year’s Eve. She made her Boston Baroque debut in 2012 as Amor in a semi-staged version of Gluck’s Orfeo ed Euridice. Joining pianist Chenny Gan, Ms. Huffman presented a ten-day concert tour throughout Southern China, covering a vast spectrum of music, from opera arias to Chinese folk songs. The Chinese government invited Ms. Huffman back to China to perform as a soloist in the Nanning International Folk Song Arts Festival. She has also been a soloist with the High Desert Chamber Music Series, Andover Chamber Music Series, First Church Nashua Concert Series, Centrum’s Port Townsend Chamber Music Festival, Masterworks Chorale’s Summer Sings, Classical Music Series’ Live at the Lounge, New York City’s Orchestra Insonica and the Sunriver Music Festival Orchestra in Sunriver, OR, under the baton of Maestro Lawrence Smith. Ms. Huffman’s passion for contemporary music has given her the opportunity to work with many distinguished composers such as Alan Chan, Lori Laitman, Ben Moore, Timothy Takach, and Marc-André Dalbavie. She performed the World Premiere of the solo adaptation of Timothy Takach’s Where Beauty Comes From, as well as Alan Chan’s song cycle Queen Sonnets. At the Aspen Music Festival, Huffman performed Dalbavie’s Sextine Cyclus with the Aspen Contemporary Ensemble. She was invited by National Public Radio to record the piece at the Harris Concert Hall for a nation-wide broadcast. Ms. Huffman returned to Aspen the following year, performing the U.S. Premiere of Oder Soll Es Tod Bedeuten?, a song cycle for soprano and strings by contemporary composer Aribert Reimann. A native of Redmond, Oregon, Ms. Huffman holds a Bachelor of Music degree from the University of Illinois at Urbana-Champaign (UIUC), and a Master of Music degree from the University of Southern California (USC) Thornton School of Music. She currently serves on the faculty of Bradley University in Peoria, IL, giving private voice instruction.